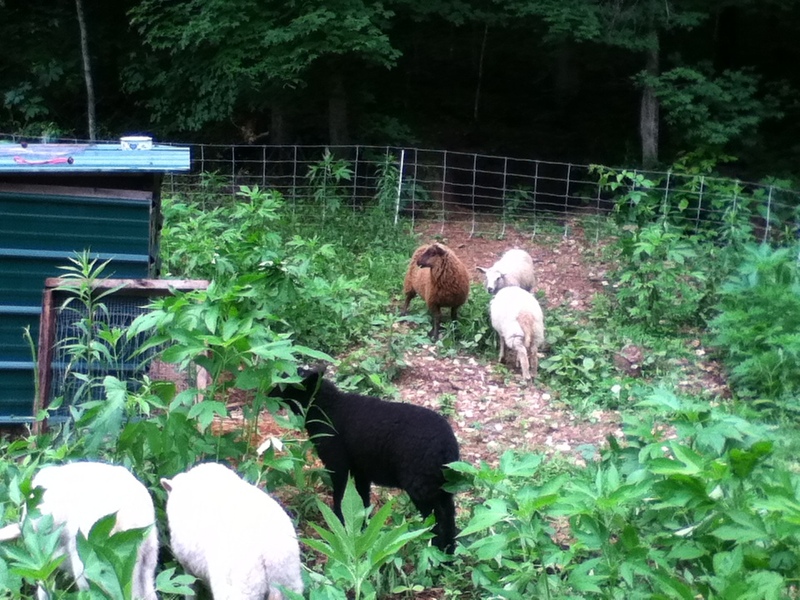 On Sunday, we introduced three more Shetland sheep to the wool flock. They literally hit the ground running… and not being accustomed to our electric net fencing (not to mention that the fence wasn’t even giving a shock which is kind of critical when training an unfamiliar animal. oops.) went right on through it and ran up into the forest. 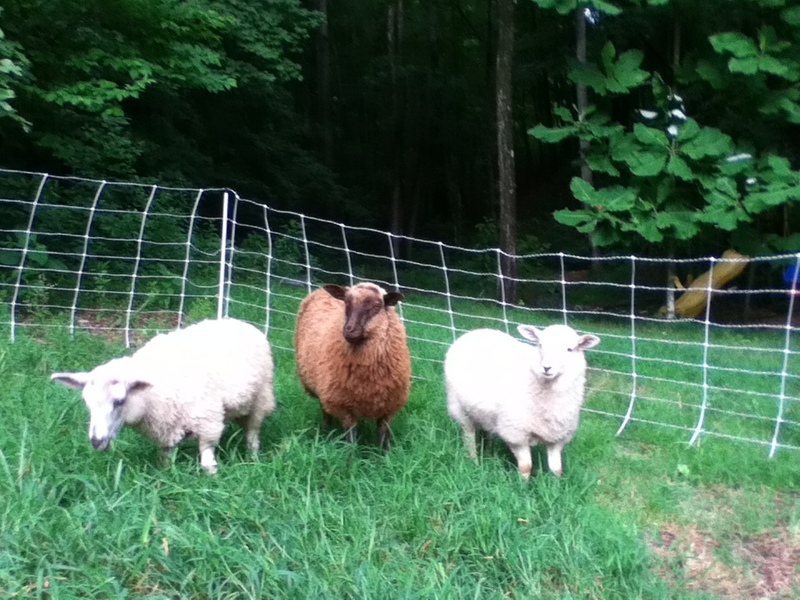 The brown one ( I think we’re going to call her Coffee, not just for her lovely color, but for her caffeinated-seeming slightly edgy behavior) was particularly ready to skip on over to the next farm. 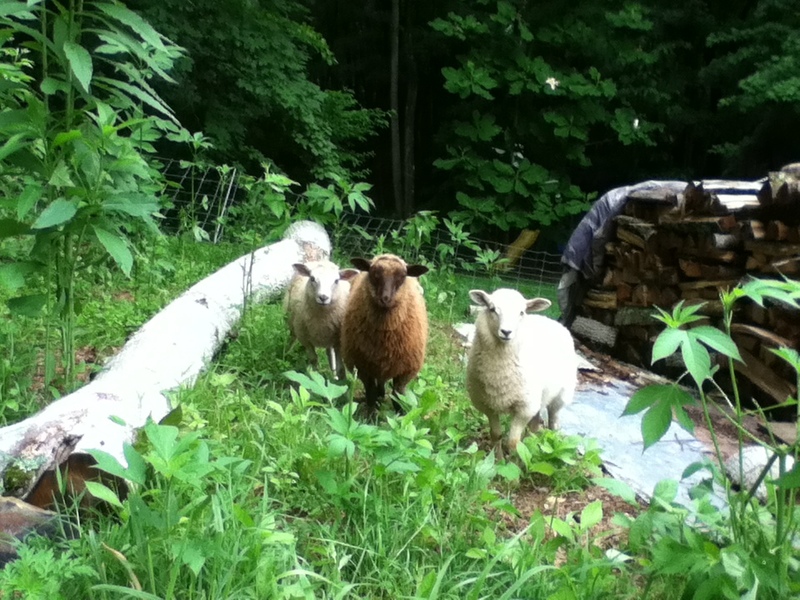 After huffing up the hill behind the renegade lamb, and her being called back by the sweet and familiar voice of Sue, her previous owner, we got the newcomers corralled with the others in their little shed… giving everyone time for proper introductions. So, welcome, Coffee and your pals Cream and Sugar. My, oh my, would you look at all of that scrumptious wool! Now this little critter is a different breed altogether! 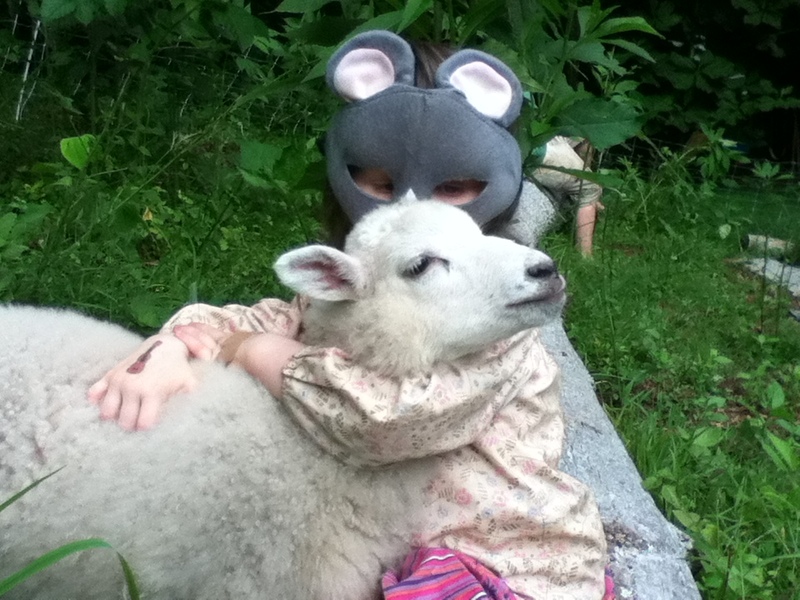 Not quite sure what she is, but at least she seems friendly with the lambs!!! 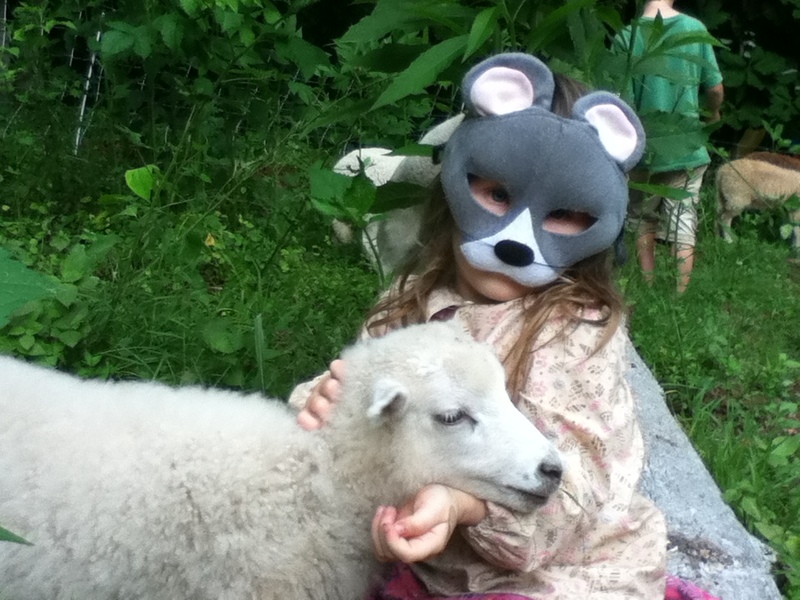 This entry was posted in cher's posts, right now and tagged children, sheep, wool by cher. Bookmark the permalink. I’m green with envy. 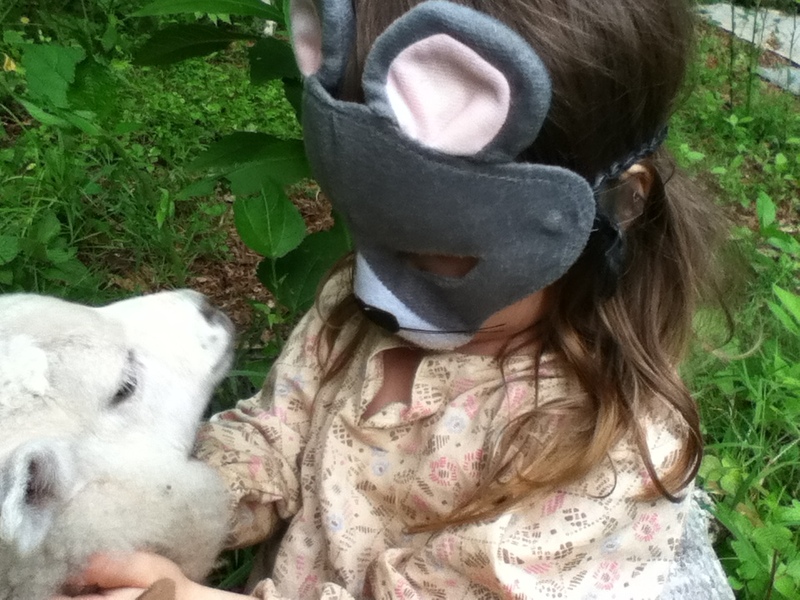 I’ll have sheep one of these days! Saving electricity by turning off the fence fools the old timers, but the newbies.. not so much. Too funny!